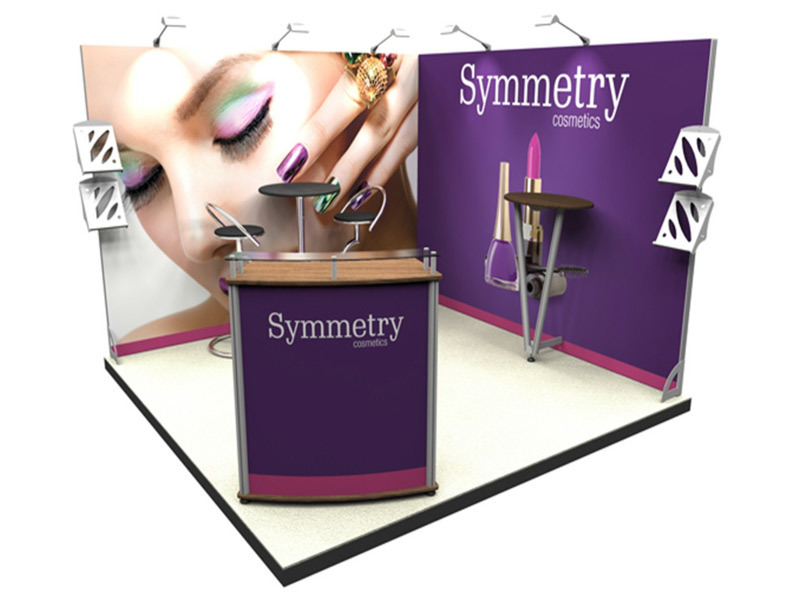 Professional Exhibition Stands You Can Assemble Yourself At Amazing Prices! 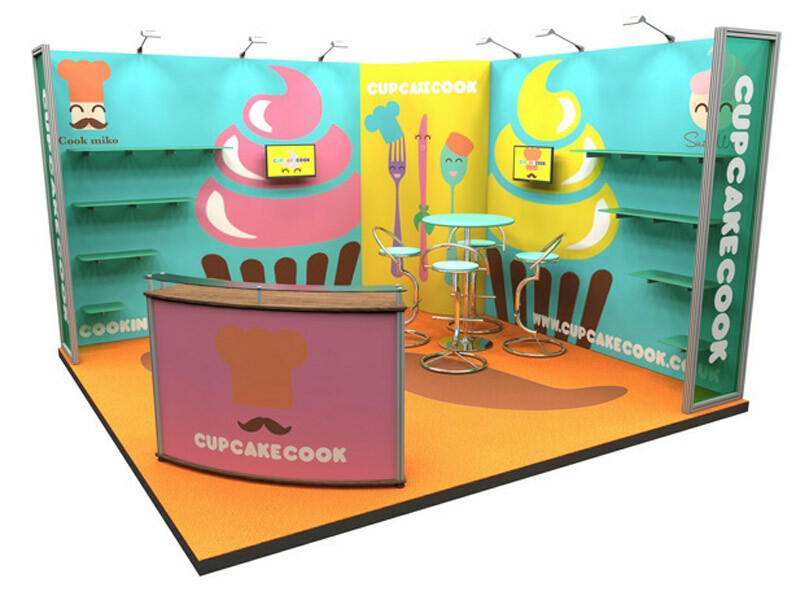 These superb exhibition stand kits are high quality off-the-shelf hardware packages designed for you to install at exceptionally low cost. Just look at the prices! 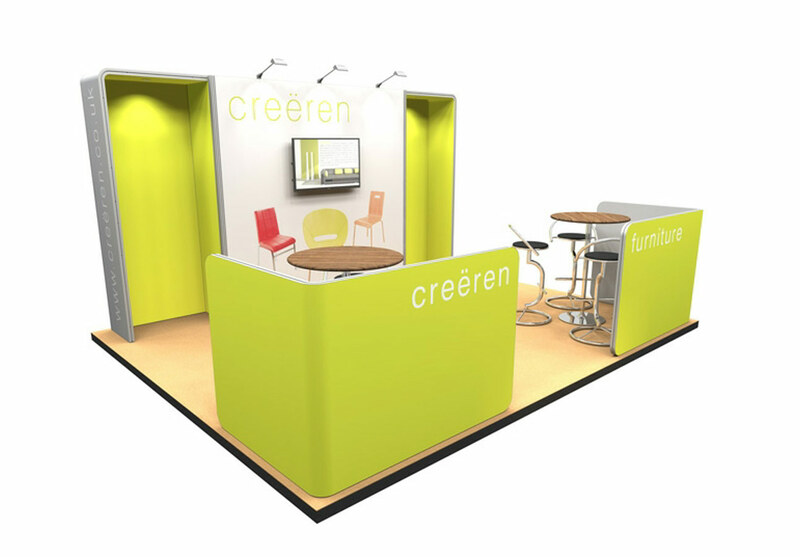 Packages include the modular framework and graphics with the option of a vast array of accessories, including lighting, counters, literature dispensers and transport case solutions. They can be assembled by anyone as they do not require professional installation. We also offer the option of UK installation (subject to availability). Prices exclude delivery and VAT. Package #1 £2,079.00 inc. Graphics! PACKAGE #1 for a 3m x 3m Exhibition Space with one wall. Arm Lights, furniture and counter are available as optional extras and are not included in the price shown. Package #2 £3,699.00 inc. Graphics! PACKAGE #2 for a 6m x 3m Exhibition Space with two walls. Literature dispensers, Arm Lights, furniture and counter are available as optional extras and are not included in the price shown. Package #3 £1,599.00 inc. Graphics! PACKAGE #3 for a 3m x 3m Exhibition Space with one wall. Package #4 £1339.00 inc. Graphics! PACKAGE #4 for a 3m x 3m Exhibition Space with two walls. Package #5 £2,947.00 inc. Graphics! PACKAGE #5 for a 3m x 3m Exhibition Space with three walls. Package #6 £3,725.00 inc. Graphics! PACKAGE #6 for a 3m x 3m Exhibition Space with one wall. 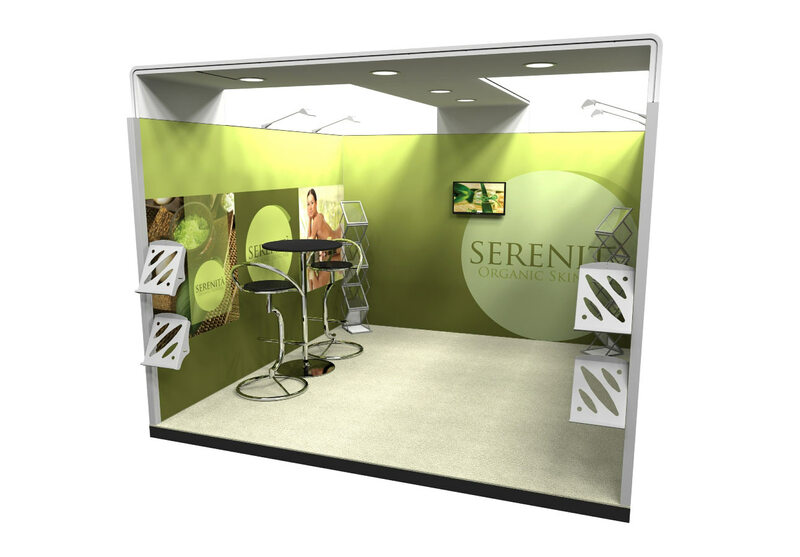 This stylish medium-sized exhibition unit is eye catching and functional at a great price. This open plan design is great for attracting foot traffic. Package #7 £5649.00 inc. Graphics! PACKAGE #7 for a 4m x 5m Exhibition Space with one wall. Package #8 £4949.00 inc. Graphics! PACKAGE #8 for a 5m x 4m Exhibition Space with one wall. Package #9 £3629.00 inc. Graphics! 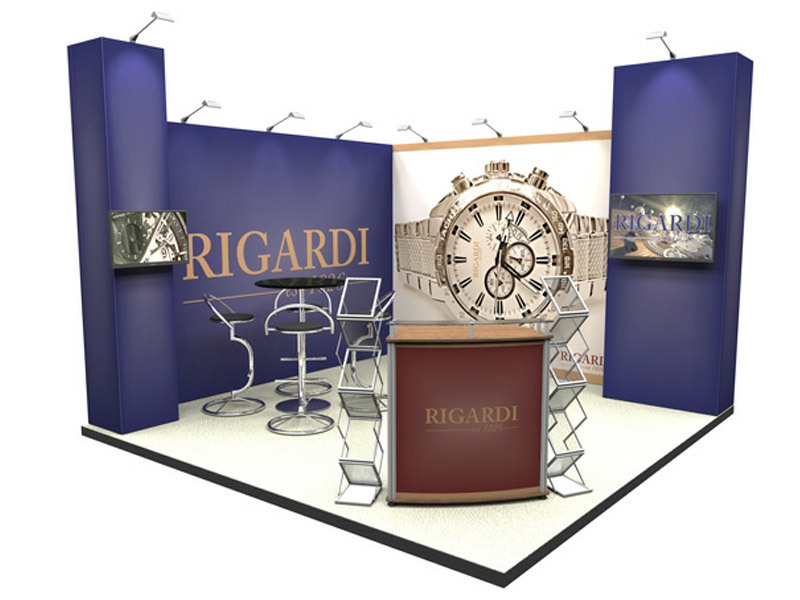 PACKAGE #9 for a 4m x 4m Exhibition Space with one wall. Package #10 £739.00 inc. Graphics! PACKAGE #10 for a 3m x 3m Exhibition Space with two walls. Package #11 £4,149.00 inc. Graphics! PACKAGE #11 for a 4m x 4m Exhibition Space with two walls. 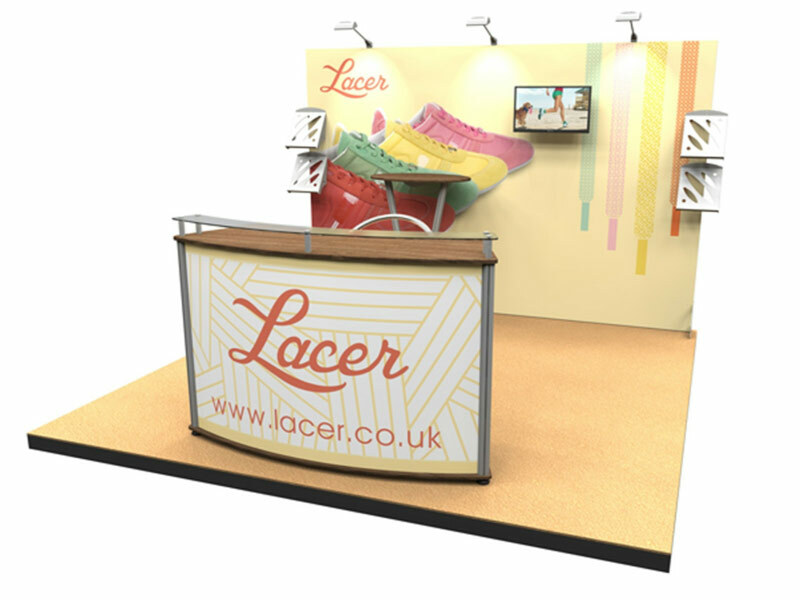 We also supply bespoke exhibition systems to suit any need. If you are looking for large scale builds, please call us to see what we can offer. 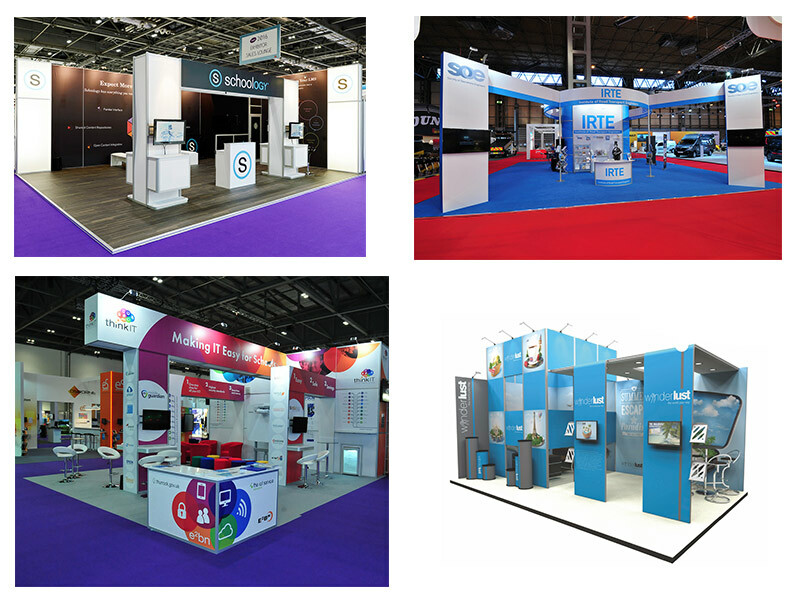 Some examples of larger stands can be seen below. If you don't see what you want then please call us on 0203 137 2834!